I’ll be honest. I had a bad experience with frozen seafood once. It was some generic brand of frozen tilapia that looked dull, smelled slightly fishy and most definitely should not have been eaten. I’ve pretty much stayed away from frozen seafood ever since. Then, a few weeks ago, Gorton’s Seafood issued a challenge – a 200 calorie challenge where we would sample one of their 20 products that are under 200 calories. Knowing that Gorton’s already has a reputation for quality frozen seafood, I accepted that challenge. As part of that challenge, Gorton’s Seafood provided us with free product coupons to facilitate our review. I loved the wide selection of both fish and flavors! As I browsed the freezer section, I was pleasantly surprised by variety of Gorton’s Seafood products that were under 200 calories. Other people must have liked it too because several of the 20 products that are under 200 calories were sold out. 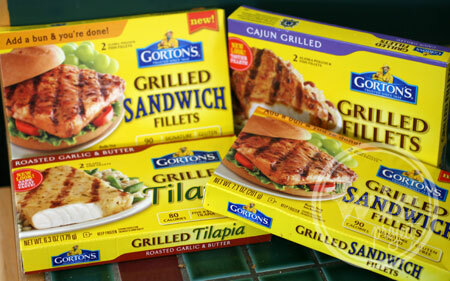 After a few moments of checking out the options, we picked up Gorton’s Grilled Sandwich Fillets (90 calories/serving,) Roasted Garlic & Butter Grilled Tilapia (80 calories/serving) and Cajun Grilled Fillets (90 calories/serving). Once we were home, I was ready to take the challenge. I started of with the Gorton’s Roasted Garlic & Butter Grilled Tilapia. I figured it was a good first fish, so to speak. Garlic – good. Butter – good. Tilapia??? It was actually delicious! No weird fishiness or slime. The fish is pre-grilled and just needs to be heated in the oven. 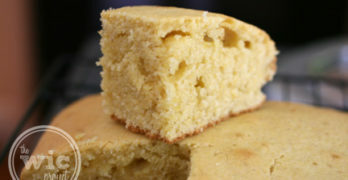 You don’t need to season or cut or do anything but bake and enjoy. The fish was flaky, not mushy, and packed with flavor. It has completely changed my perception of frozen seafood. Over the next few days, the rest of the Gorton’s fillets were eaten and thoroughly enjoyed. Both the Grilled Sandwich Fillets and the Cajun Grilled Fillets were packed with flavor. The Sandwich Fillets are great for a quick lunch or dinner option. And all of these are perfect for low calorie meals. Are you ready to take the 20 under 200 Gorton’s Seafood challenge? Head to the freezer section of your local grocery store, pick up one of the Gorton’s under 200 calories products, and take the challenge yourself! One winner will receive a Gorton’s Seafood prize pack which includes 5 free product coupons for Gorton’s Seafood, and a spatula, oven mitts and apron so you can cook up some yummy Gorton’s Seafood. grilled tilapia is my favorite. We love everything we have tried-but they have delicious talipia, i think it is parm crusted, but i cant remember. It was sooo good. I love all Gortons products!! Beer Battered fish are our favorite. Never tried but would love to have the chance. I haven’t tried Gorton’s products, but I would love to try them. I like potato crusted fillets. Never tried it. Im afraid of frozen fish. I’ve only tried the Fish Sticks so right now they’re my fave. But I’d love an opportunity to try the other varieties! I like the popcorn shrimp best. i love their new skillet line 🙂 so good!! Yes, everything from old school fish sticks to the shrimp scampi…love em all. All Gortons products are wonderful, especially the tilapia. Would love to win this giveaway. My family enjoys the shrimp options but my husband enjoys talapia. I am looking of rnew ways to lessen my calorie intake and I will try these out to see how they are. Thank you! We’d starve to death around here without Gorton’s, it’s the only seafood we buy!!! 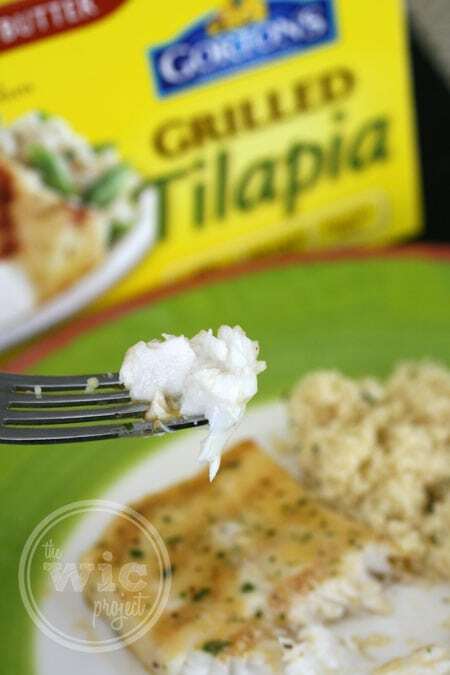 I haven’t tried the tilapia yet, I would love to! I haven’t tried it before, but would love to. Have you tried Gorton’s Seafood before? If so, which is your favorite? I love the Garlic & Herb. Like their grilled salmon best, but like all. the shrimp is my favorite. Yes, my kids love the fish sticks! Yes and we like the batter fillets. I love their beer battered fish fillets. I’ve tried some of their fish and shrimp. We like the shrimp poppers the best. I really like the beer battered filets and the shrimp.Really I love all their products hope to win. Yes, have had it frequently, and generally like the shrimp the best. We’ve tried many Gorton’s products and especially like the Beer Battered Fish. I like the fish sticks. 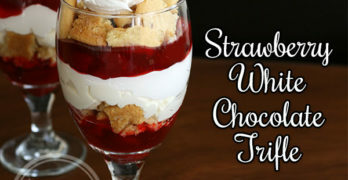 Never tried it before but would love to! We like the Grilled Fillets. I’ve tried their Crispy Battered Fish Fillets and thought they were delicious! Yes, i’ve tried their grilled salmon and it was delicious! Would love to try Gortons! Yes, I buy their premium flounder a lot. My daughter likes their fish sticks. Yes I love the Grilled Salmon – thank you. I like the garlic and butter the best. I’ve tried those and they are really good for a light summer dinner with some steamed vegetables or just on a small bed of brown rice. I like the tilapia too! I love the grilled salmon, thanks! I love Gorton’s fish products and always enjoy making my own homemade fish sandwiches! I also like the shrimp they have, it is so delicious! I love the Shrimp Scampi and the Grilled Tilapia is my favorite.